Today... Mostly sunny, with a high near 74. Light and variable wind becoming north 5 to 8 mph in the afternoon. Tonight... Isolated showers after midnight. Partly cloudy, with a low around 54. East wind 6 to 10 mph becoming south in the evening. Chance of precipitation is 20%. Friday... A chance of showers, then showers and possibly a thunderstorm after noon. Some of the storms could produce small hail. 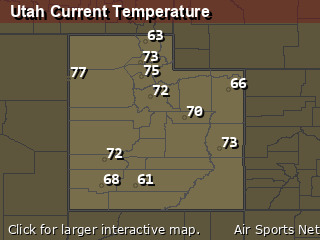 High near 74. South southeast wind 11 to 16 mph becoming west in the afternoon. Chance of precipitation is 80%. Friday Night... A 40 percent chance of showers and thunderstorms before midnight. Partly cloudy, with a low around 44. 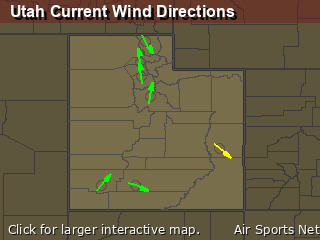 Northwest wind 5 to 11 mph. Saturday... Sunny, with a high near 68. Southeast wind 3 to 7 mph. Sunday... A 20 percent chance of showers after noon. Mostly sunny, with a high near 64.